Van Etten Lake is contaminated by PFAS. A firefighting foam used in training exercises at the Wurtsmith Air Force Base across the street is the source. Catherine Larive lives next to the Van Etten Lake where private wells are contaminated with PFAS chemicals. 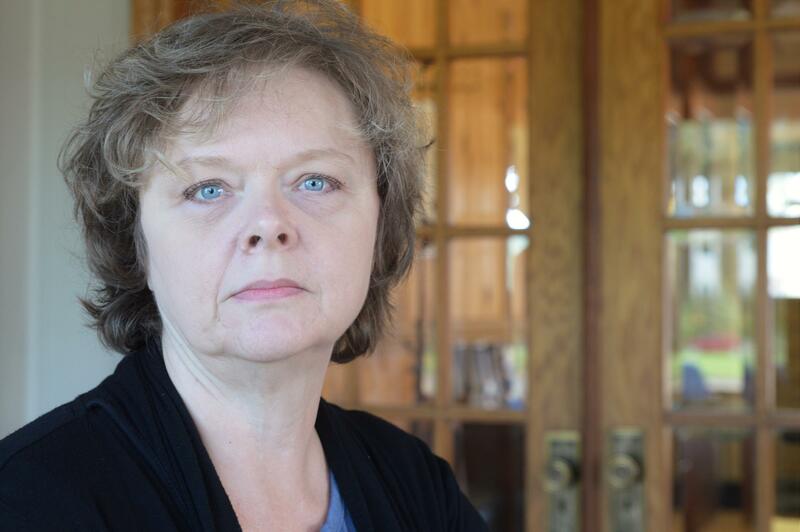 Catherine Larive lives in the neighboring Van Etten Lake community. Water there is contaminated with PFAS. She is a member of a citizens group called the Restoration Advisory Board. She says people have a lot of questions. She usually refers people with questions to the local health department’s website which has lots of information. Larive says the Air Force and state regulators spend too much time talking about technical aspects of the contamination. What people want to know is how government is going to fix it and whether there will be any long-term health problems? Chuck Lichon is a regional health department official. He says it’s hard to say whether there will be long-term health concerns. That leaves people wondering and, Catherine Larive says, angry. Lester Graham: "What do you want to happen?" The Air Force has contracted for water samples to be taken from monitoring wells and tested for PFAS chemicals. For years, it’s been known the area around the former Wurtsmith Air Force base was contaminated. 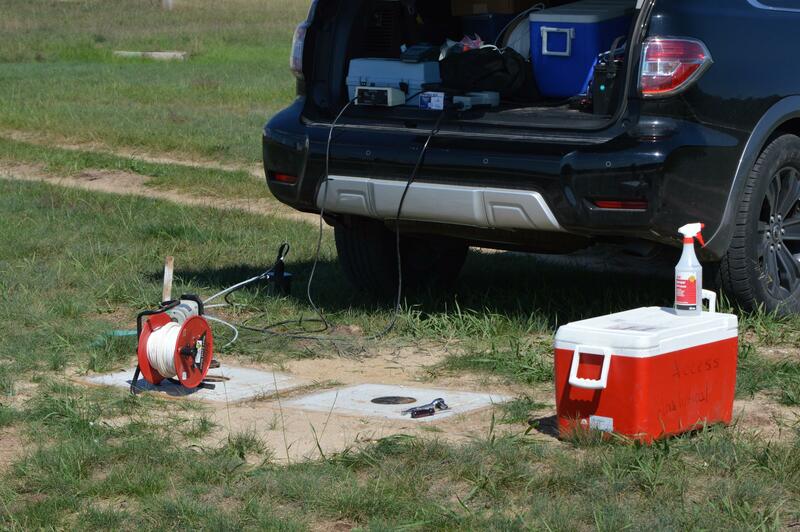 The Air Force dug monitoring wells. It recently installed a couple of filtration systems that clean up water and inject it back into the ground water. 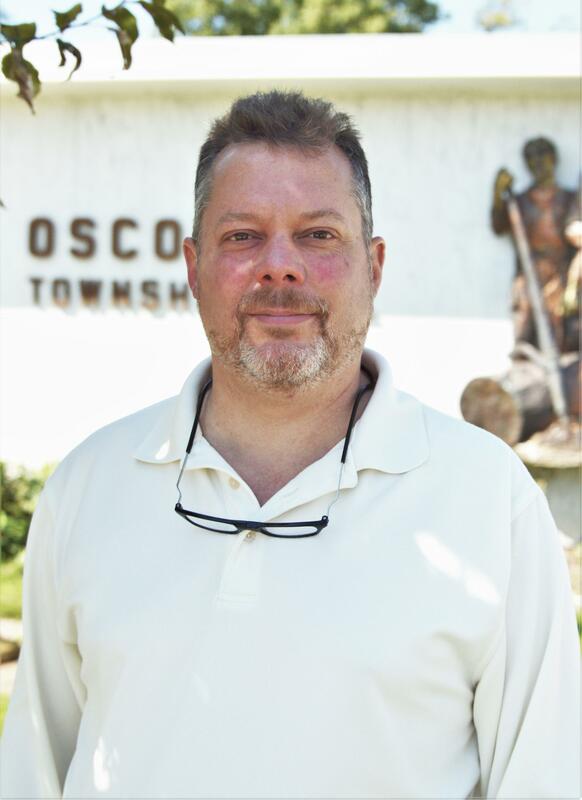 Aaron Weed is the Oscoda Township Supervisor. He says he doesn’t think the Air Force is doing what it could. He doesn’t think the state Department of Environmental Quality is doing enough. He notes Oscoda has had this contamination problem long before the lead contamination of Flint’s water. “We thought the Flint incident would actually help us with this, but it didn’t change anything,” Weed said. It wasn’t until PFAS contamination starting popping up in other parts of the state that things changed. “It wasn’t until the governor enacted the MPART team that we actually started to see some action," Weed said. MPART is the multi-agency Michigan PFAS Action Response Team put together last year. Oscoda Township Supervisor Aaron Weed. Weed says Oscoda Township has gotten some small grants to extend municipal water service to some houses with contaminated wells. The township had to come up with $500,000 to pay the rest of the cost. “And the cost of that should not be borne by our residents. They’re being forced off of their wells because of federal contamination. So, really the federal government needs to step up and get us the money needed to get clean water to people,” Weed said. Some of the homes were given water bottles and now they’re being offered filters that can strip the PFAS from the water if maintained correctly. The government has tested 273 wells. Weed says a lot more homes are affected. The congressman for the area, Dan Kildee, worked to get a $50,000 Department of Agriculture grant to switch Oscoda schools to a municipal system since the Air Force has been slow to fix problems in the area. At the Michigan Environmental Council, James Clift notes the State of Michigan is now taking PFAS contamination seriously. “Give credit to the state where it is really looking at, okay, what are those most likely exposure routes: drinking water. Actually, waste water treatment plants was a place where they looked really early because they had these high hits. Then they realized, oh, somebody’s putting something in the sewer, therefore, let’s try to trace back and find that source,” he said. And the state keeps finding the PFAS pollution in underground water and surface water at spots across Michigan.